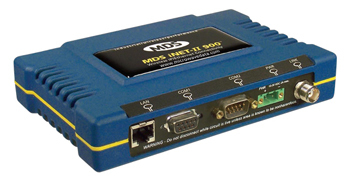 The MDS iNET-II is an industrial wireless solution that provides long distance, unlicensed communications, up to 1 Mbps, allowing users to interface both Ethernet and serial controllers such as PLCs, RTUs and SCADA systems. 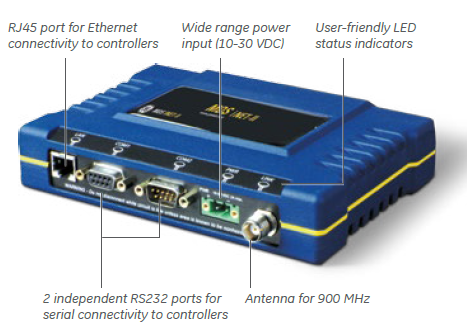 The MDS iNET-II offers the right balance of speed and range to enable a wide variety of applications that require higher data capability than typical SCADA communication systems can provide. It combines the higher speed of Digital Transmission Systems (DTS) with the robustness of Frequency Hopping technology. 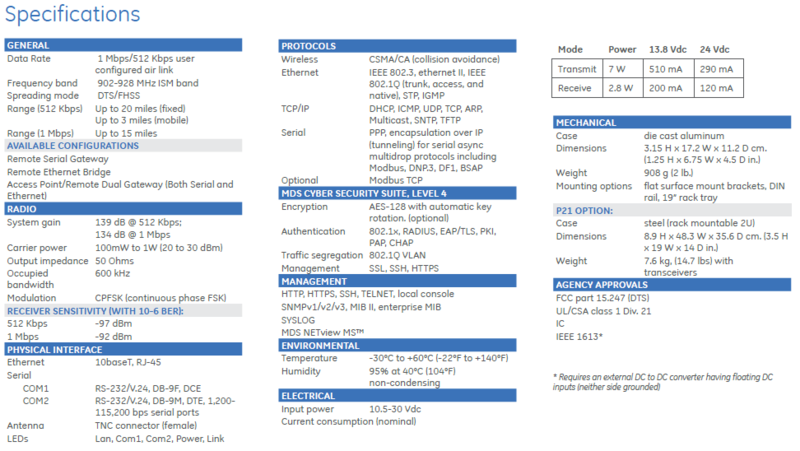 The MDS iNET-II combines the interfaces, functionality and security features that are standard across the Information Technology (IT) industry with a hardened radio platform necessary for the harsh environment of mission-critical applications in SCADA applications.